Looking back to my initial training there were the two variants of the single-engine trainer my school used. Both were the exact same airframes, but one had GPS units that were remnant of Audis and Volkswagens with their red pixelated “Atari” screens. Then there were the Warriors with GPS units with three color, “high-def” screens. At the time this small difference was viewed as the scariest hurdle we had ever faced. During our stage checks, we would go to Dispatch for our aircraft, but not without calling upon all the world’s religions and praying not to be assigned an “old GPS” model. Mind you, both GPS units had the same buttons and features, but it was in our heads that the old GPS units would inevitably tie our brains into a knot and we would therefore fail the stage check. It quite literally resulted in student’s citing the I’M SAFE checklist to defer their flight to a later date! Similar anxiety struck me throughout training. Particularly when I moved into my first complex aircraft. All I had ever known up until that point was the same low wing, single-engine trainer and it was nerve wracking to take myself away from my confident, comfortable airframe and into a foreign one. However, in the first hour of flying that new airframe I became enthralled with it and wanted more. This all but killed any anxiety I had prior to starting the engine and as I looked over the switches and dials I saw my old plane right in front of me. In reality, every airframe from every manufacturer shares traits and characteristics. If you sit in just about any aircraft you can see the similarities despite the paint being different, a button holding a different shape, or just being in a different layout. Superstitions and paranoia tend to set in as you near your checkride, and rightfully so. 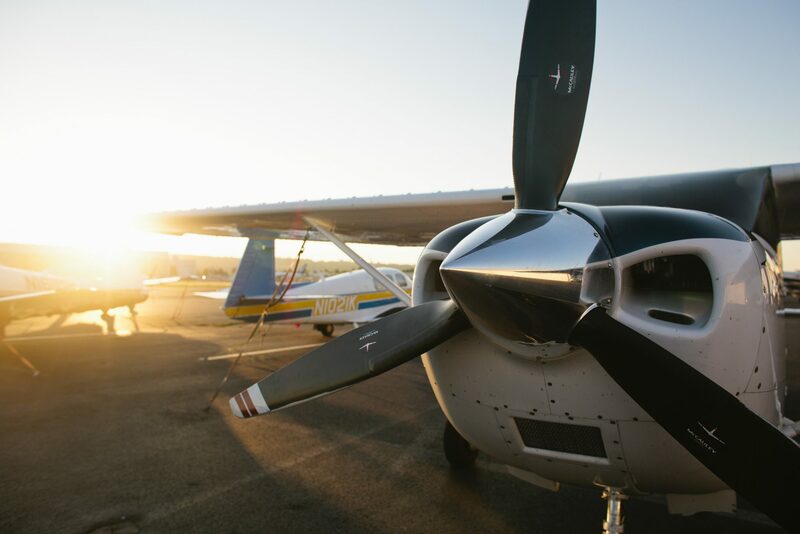 It is a stressful time in our training and we need to go into it confident – even if that means flying your “lucky” tail number. However, if you have an experienced instructor at your side and you have the opportunity to change aircraft, even if for one lesson, go for it! Each time you experience something new, your brain logs it into your memory and it develops your ability to adapt to new situations that really aren’t all that different from before.